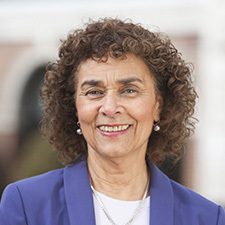 Ruth Ellen Fitch served as President and Chief Executive Officer for nine years at The Dimock Center, retiring in June 2013. Prior to her position with Dimock, Ms. Fitch practiced law with Palmer & Dodge LLP where she became the first Black woman partner at a Boston law firm. Before attending law school, Ms. Fitch was Director of the METCO program in the Brookline Public Schools. She also taught Black literature at the University of Massachusetts at Boston. Ms. Fitch holds a Bachelor of Arts Degree in Economics from Barnard College, Columbia University and a Juris Doctor degree from Harvard Law School, where she served for three years on the Law School Administrative Board. She received an Honorary Doctor of Humanities degree from Curry College in 2011 and an Honorary Doctoral Degree from Simmons College in 2014.